Mayonnaise replaces olive oil as the primary ingredient in these chimichurris, a divine revelation we call chimichurri aioli. These versatile sauces were inspired by one of Argentina’s proudest moments. When the country hosted the 1978 World Cup, the final match pitted the Albiceleste against the Netherlands. In a world-class cultural exchange, the Dutch showed the Argentines the many wonderful uses of mayo, and the home team returned the favor by demonstrating proper soccer technique, going on to win the World Cup. 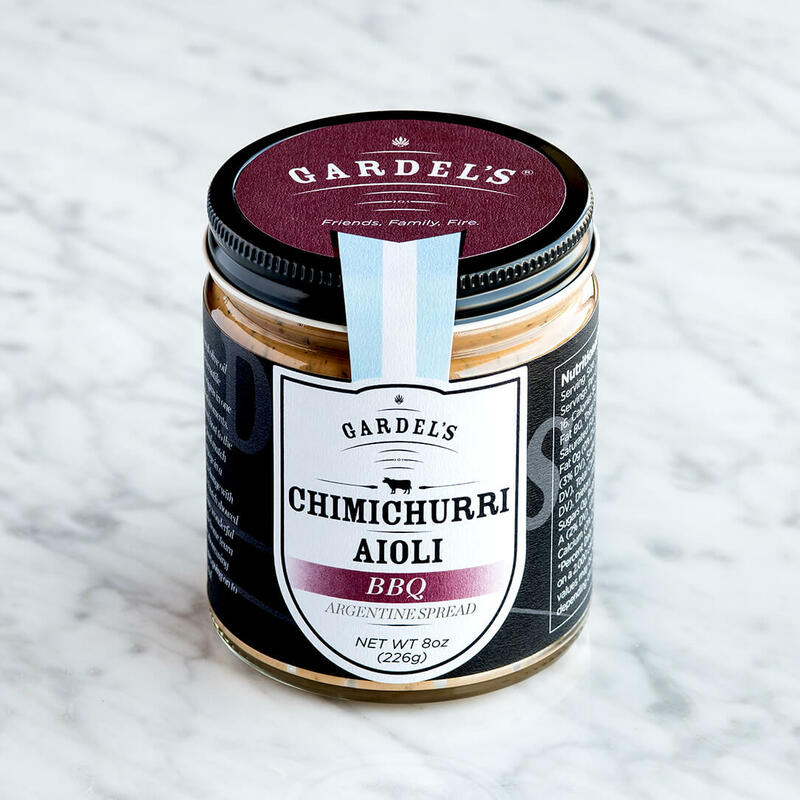 Smoked cedar and oak with a creamy-smooth texture and the brightness of chimichurri. 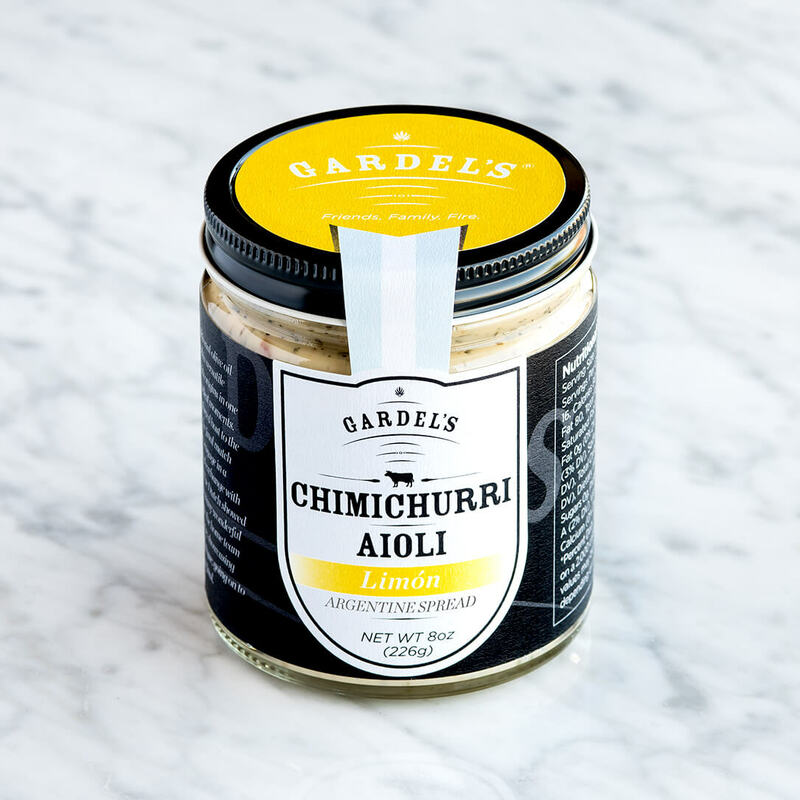 CHIMICHURRI AIOLI – Mayonnaise replaces olive oil as the primary ingredient in these chimichurris, a divine revelation we call chimichurri aioli. 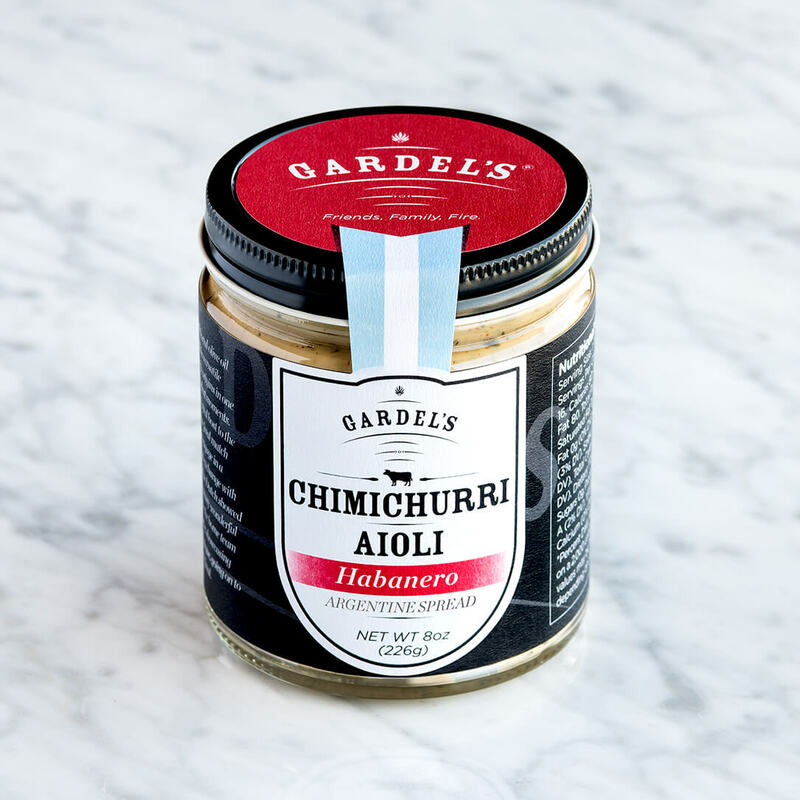 These versatile sauces were inspired by one of Argentina’s proudest moments. When the country hosted the 1978 World Cup, the final match pitted the Albiceleste against the Netherlands. In a world-class cultural exchange, the Dutch showed the Argentines the many wonderful uses of mayo, and the home team returned the favor by demonstrating proper soccer technique, going on to win the World Cup. 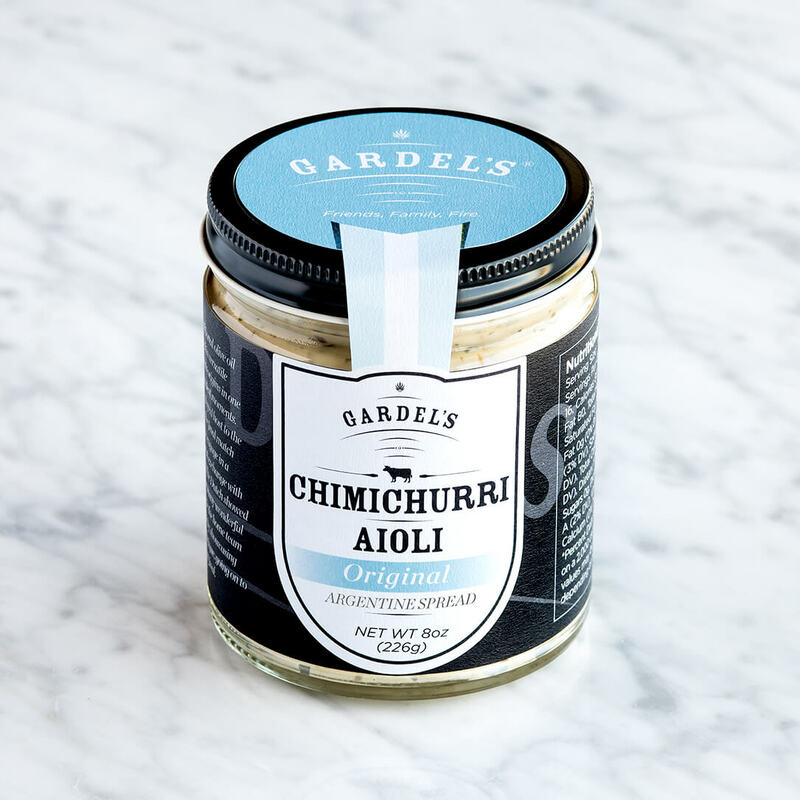 Herbaciousness and rosy garlic aromas in a tangy, unadulterated marriage of chimuchurri and aioli. A provocative blend of assertive heat and subtle smoke. A zesty, silken pairing of bright lemon notes and understated sweetness.